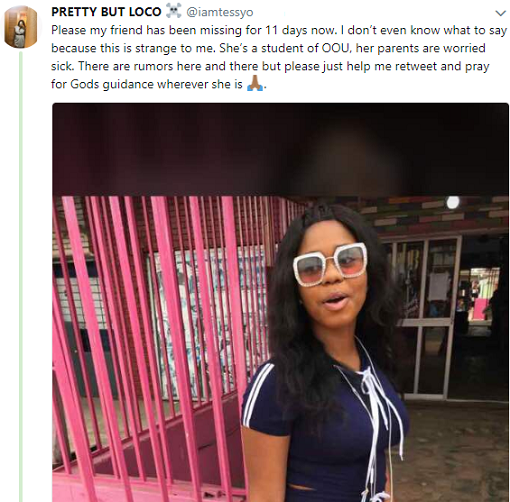 OOU Student Goes Missing After Going On A Date With Boyfriend…She’s Pictured! A student of the Olabisi Onabanjo University (OOU) has been declared missing. 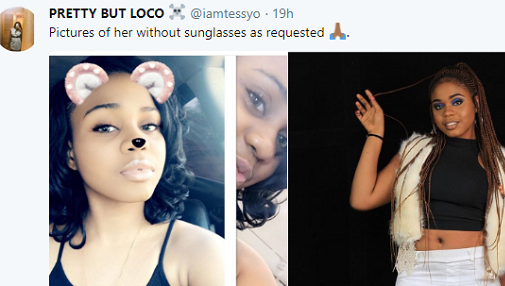 One of her friends, @iamtessyo has now taken to Twitter to alert the public saying she has been missing for 11 days. According to her she went on a date with her boyfriend and her slippers was even found in her boyfriend’s car, but both she and are boyfriend have not been seen. » OOU Student Goes Missing After Going On A Date With Boyfriend…She’s Pictured!